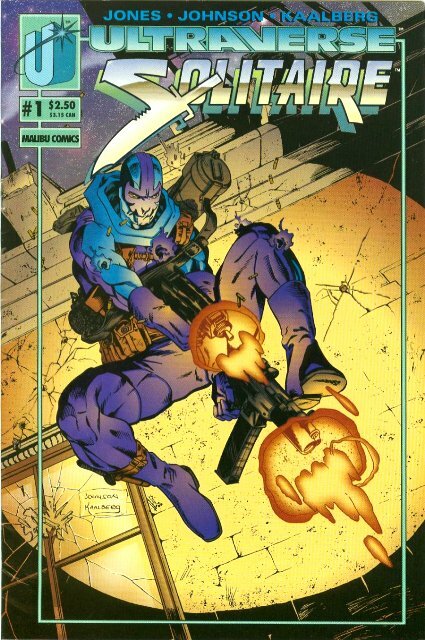 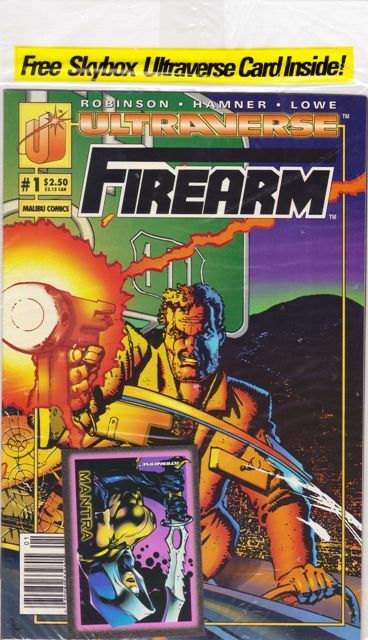 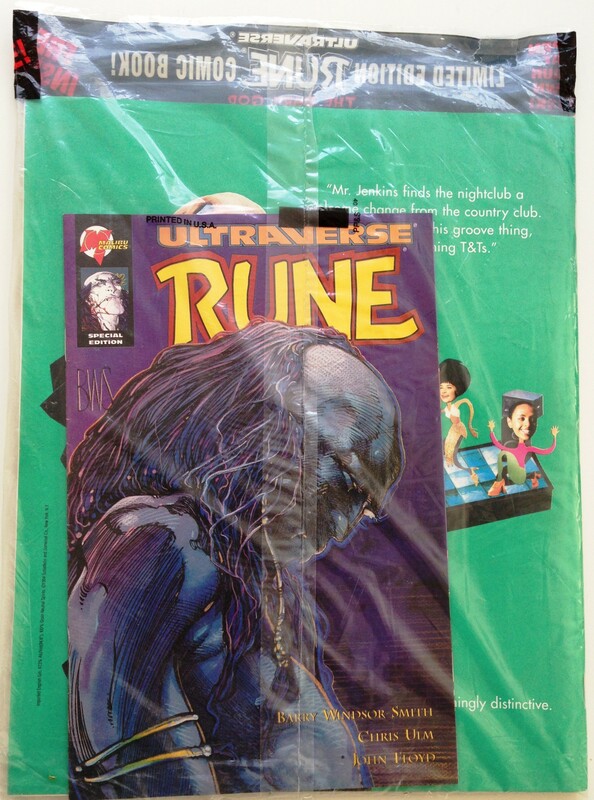 You had five books from the first couple of months in the Ultraverse that were polybagged. 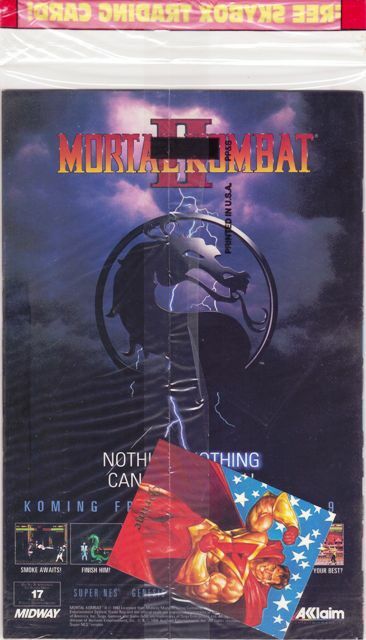 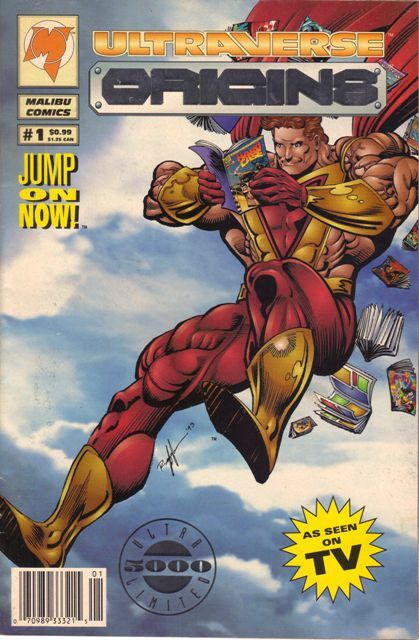 That was something of a little trend in the early 1990s; it’s hard to believe there used to be arguments for and against leaving the books in the bag. 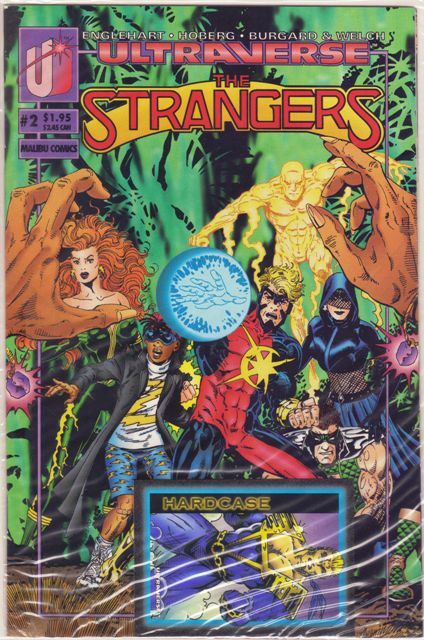 Prime, Hardcase and Strangers (all No. 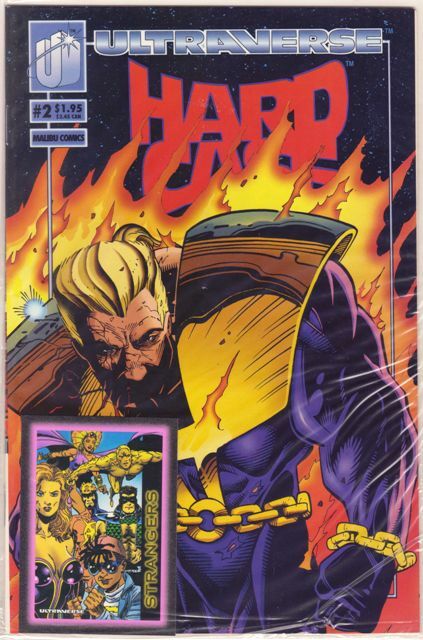 2 issues) came with just a card. 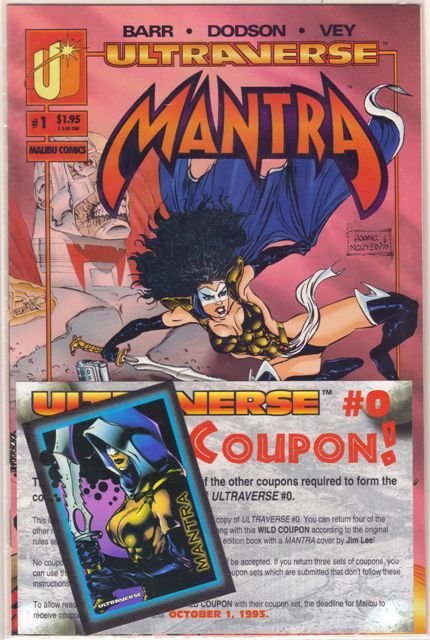 As far as I can tell they were always the same promo cards — although the Hardcase card came with the Strangers book, and vice-versa — for the inaugural Ultraverse card set. 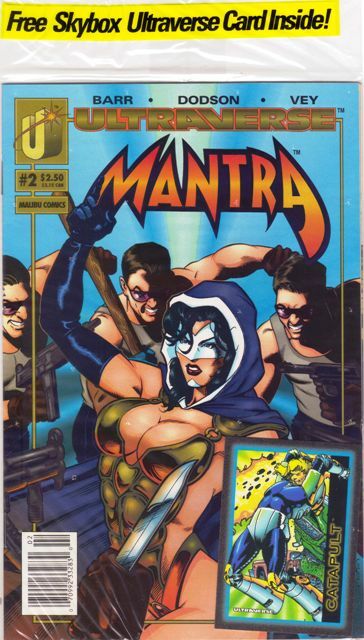 Freex and Mantra (both No. 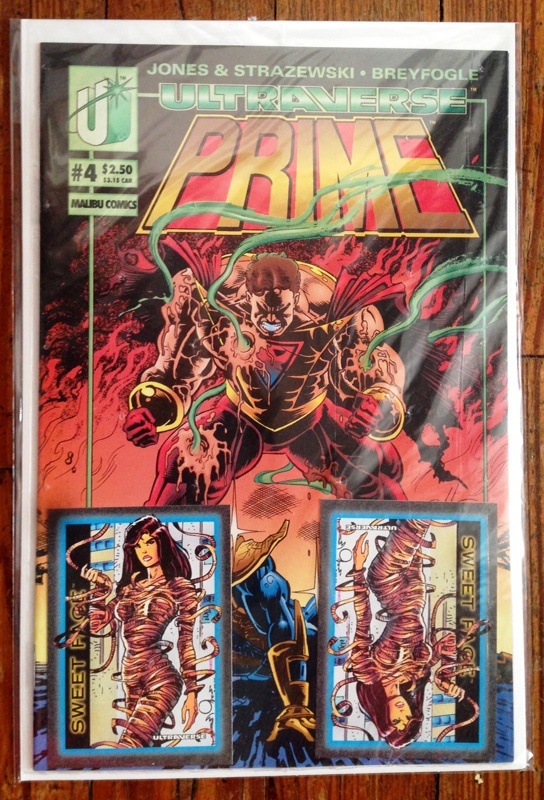 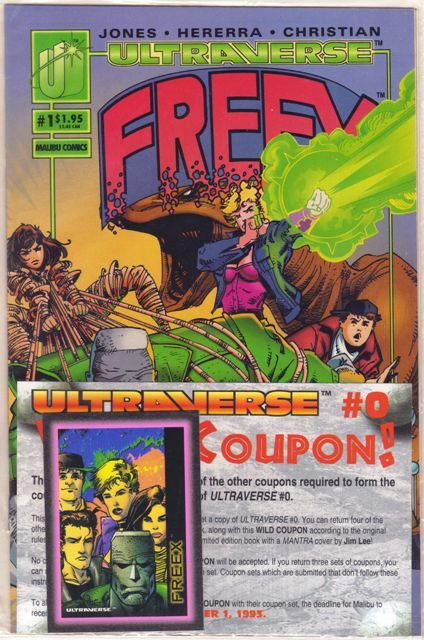 1s) came with a card and a wild coupon for Ultraverse Premiere 0. 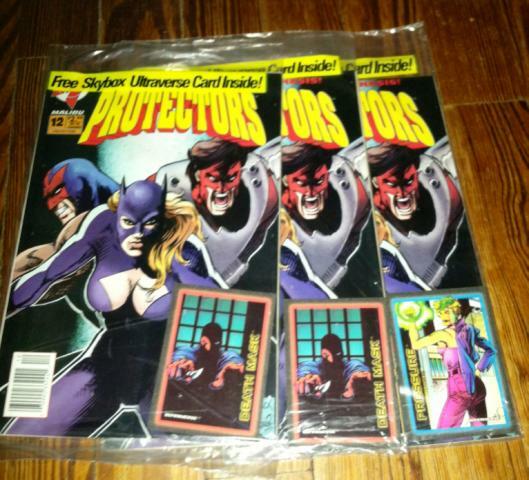 These are all great books to read. 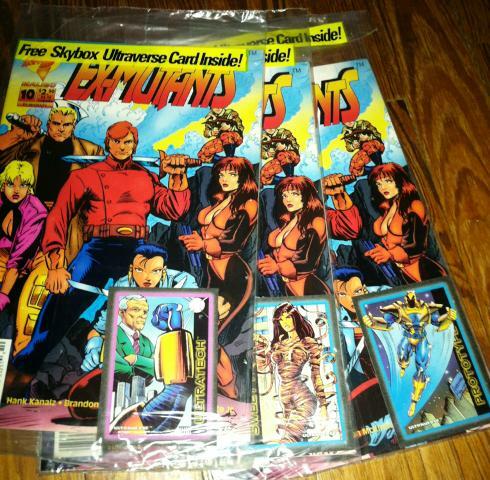 As collectibles, not so much. 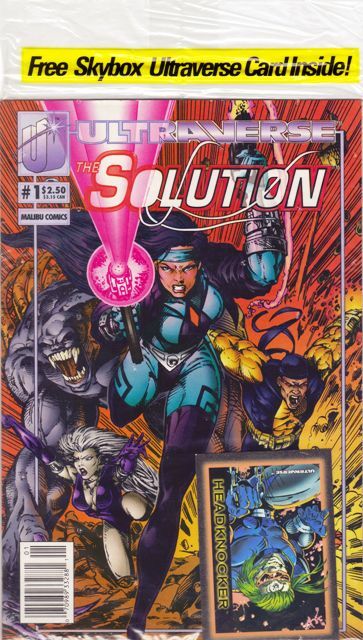 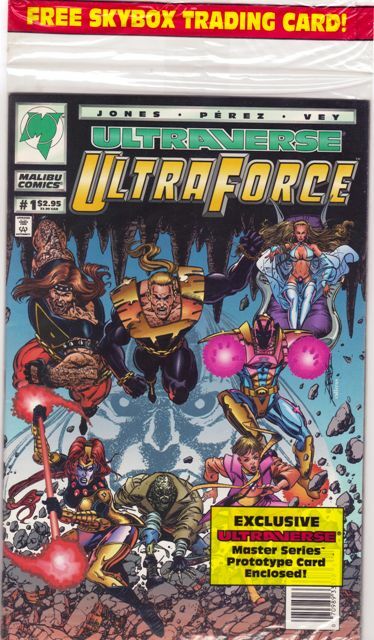 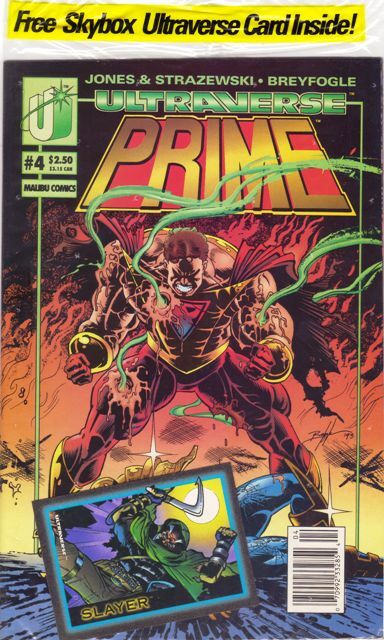 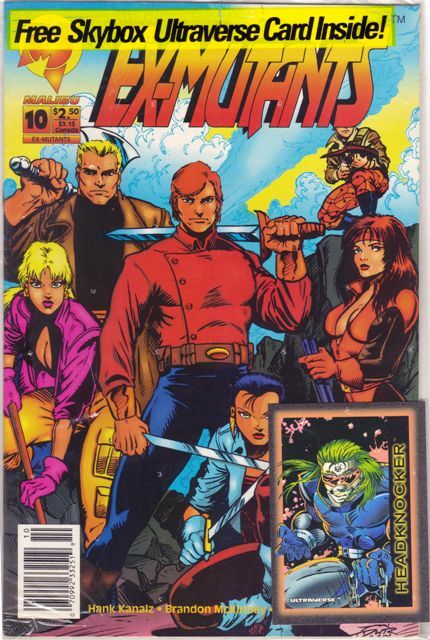 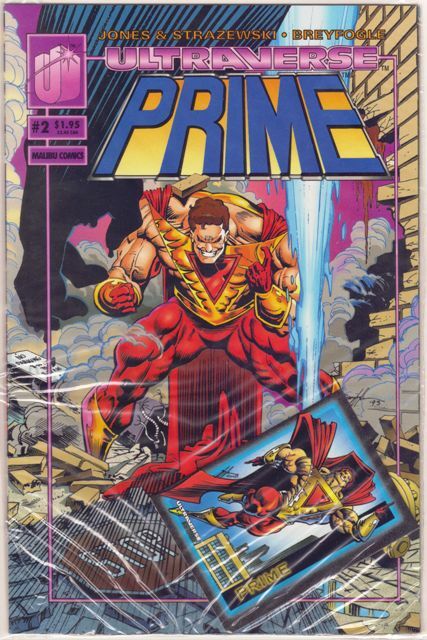 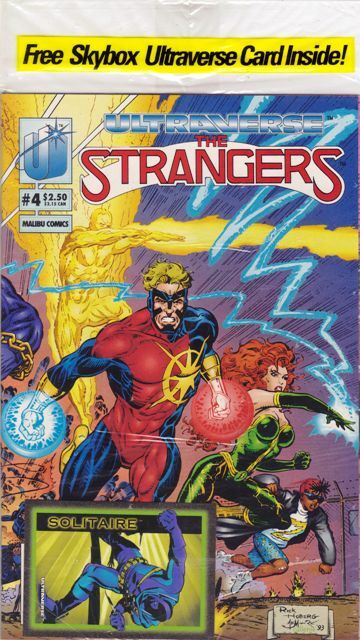 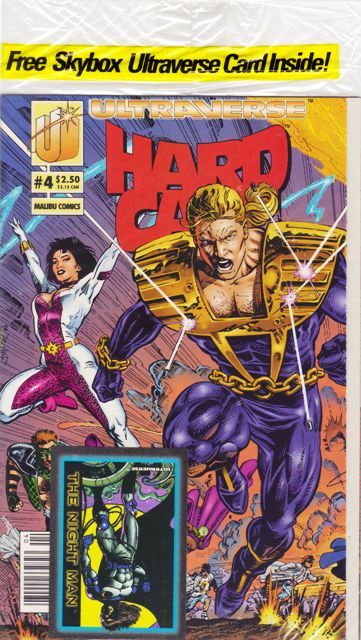 They’re among the most plentiful Ultraverse books you will find, bagged and otherwise.